Home > Community > Looking in Pomona? Looking to Buy a Home in Pomona? Are you looking to buy a home in Pomona? 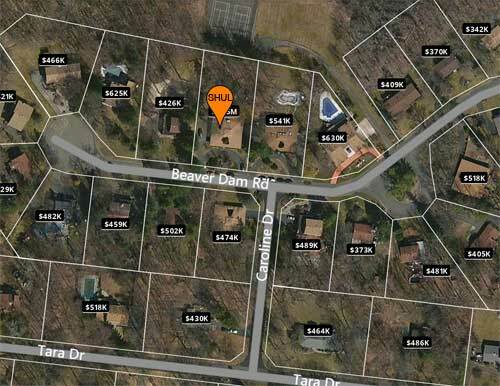 Our Shul is strategically located on Beaver Dam Rd, in close proximity to Caroline Drive, Tara Drive, Sherwood Ridge Road, Tuck Drive, Lochsley Lane, White Birch Drive and Camp Hill Road. There are many shortcuts available to make walking easier on Shabbos. Pomona provides affordable housing compared to the rest of the Monsey area without sacrificing the Orthodox amenities the greater Monsey area offers. We offer assistance in finding your perfect home or with any questions about the community. Come for a Shabbos and experience the warmth of Jewish Pomona! Fill out the form below if you are interested in learning more.